St. Michael&apos;s Guard is an ecclesial movement of men throughout the Diocese of Harrisburg devoted to serving our Lord as altar servers at mass. The Guard strives to provide the highest level of discipline, reverence, and humility as we assist our priests at the liturgy, with fervent study and practice of the rites of the Roman Catholic Church. We have a great devotion to the Eucharist, and we take as our patrons Mary and St. Michael the Archangel. We emphasize reverence, brotherhood, humility, and fidelity (both to the Church and to our respective vocations). Support the bishops and priests in the planning and implementation of the liturgical ceremonies according to the liturgical calendar of the Church. Promote the active and fervent participation of the faithful in the liturgical ceremonies by the witness of the Guard. Foster the perseverance of the Catholic male in their vocation and Christian life, seeking perfection in all interior and exterior actions. Inspire the youth servers to a higher level of reverence and understanding of the sacredness of the ministry in which they serve. Allow the celebrant to enter more deeply into communion with Christ by the knowledge and faithfulness of the Guard. Grow closer to Christ through the Blessed Virgin Mary and St. Michael. 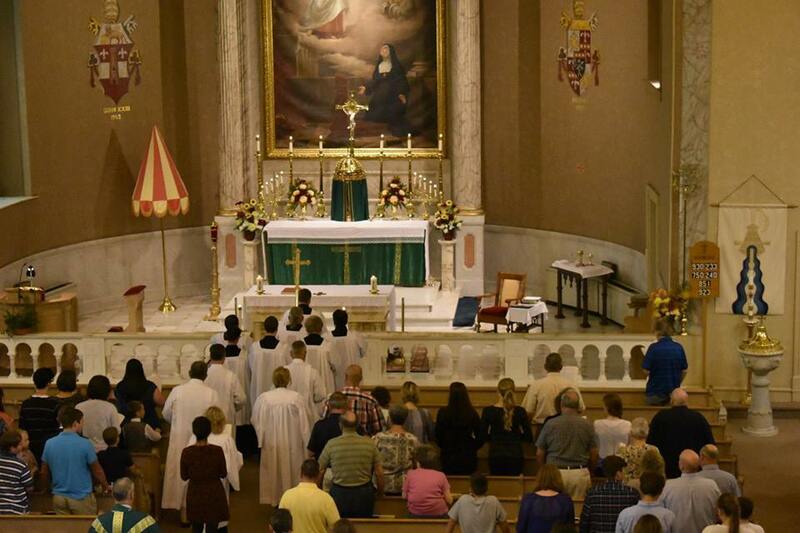 St. Michael&apos;s Guard is open to Catholic men 18 years and older with a desire to serve our Lord in the liturgy. No prior experience as an altar server is required.